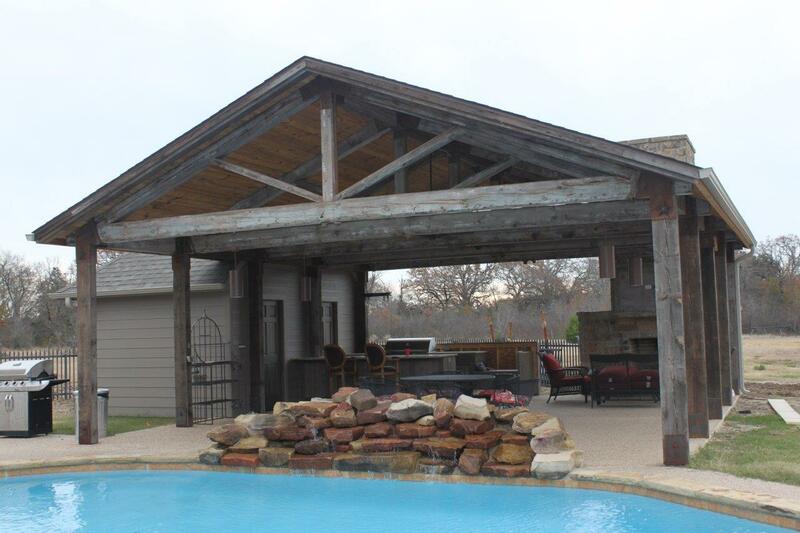 The pictures below show an outdoor kitchen area built next to a pool at a residence in Texas. 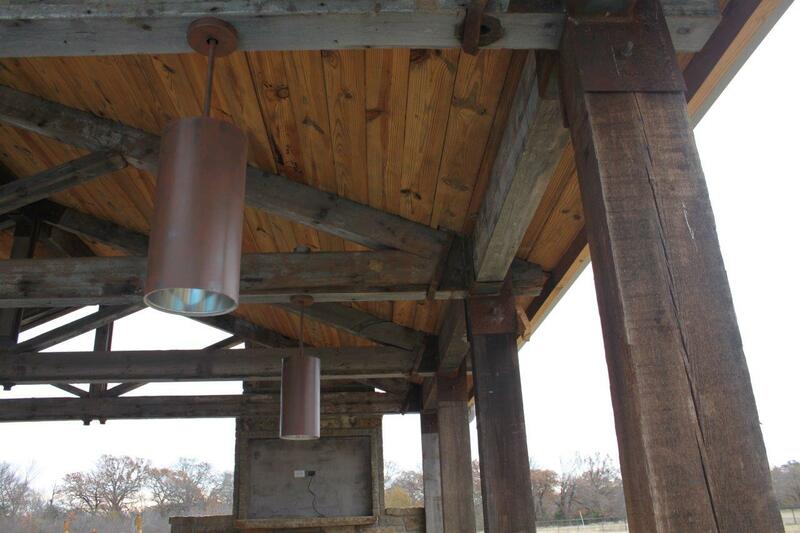 The homeowner expressed interest in using reclaimed material and built the structure around the trusses. 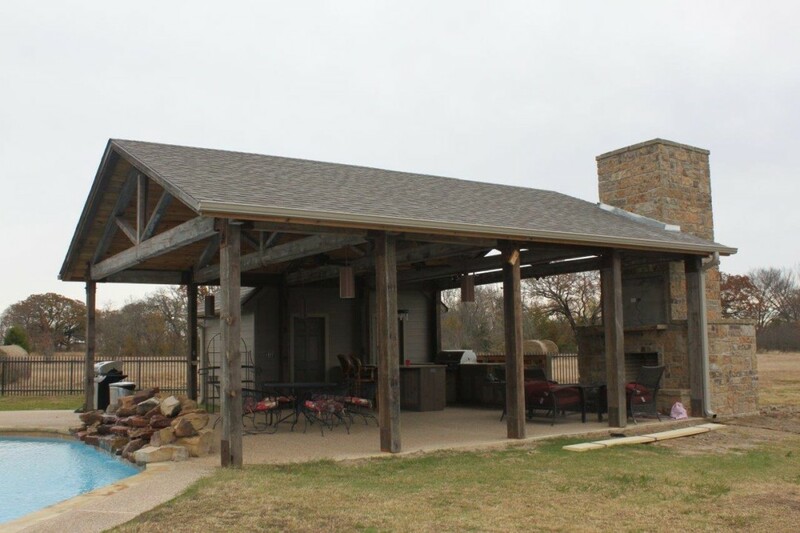 The structure was built using materials that Bahm Demolition salvaged from projects around the Topeka, KS area. The 5 trusses came from the building demolished at BNSF. The light fixtures originally came out of Menningers. They were refinished to achieve the copper look. 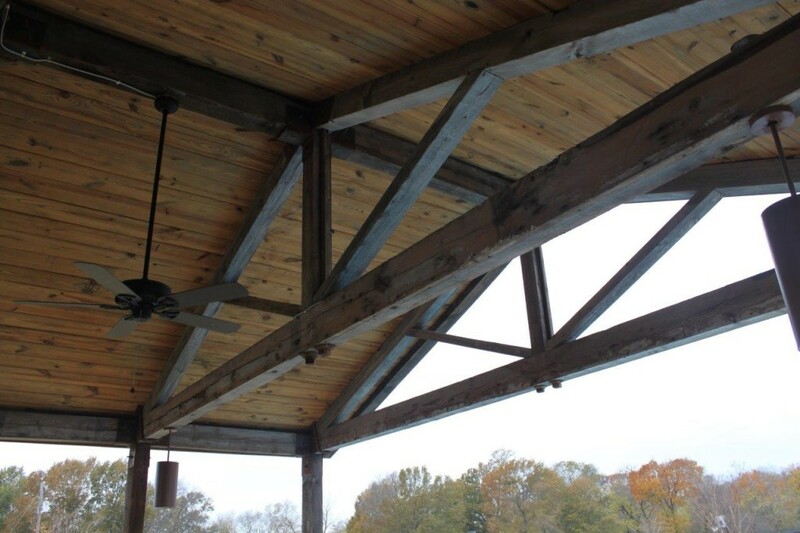 The roof decking came from a building that was demolished in Franklinton, NC. It was originally built in 1890.